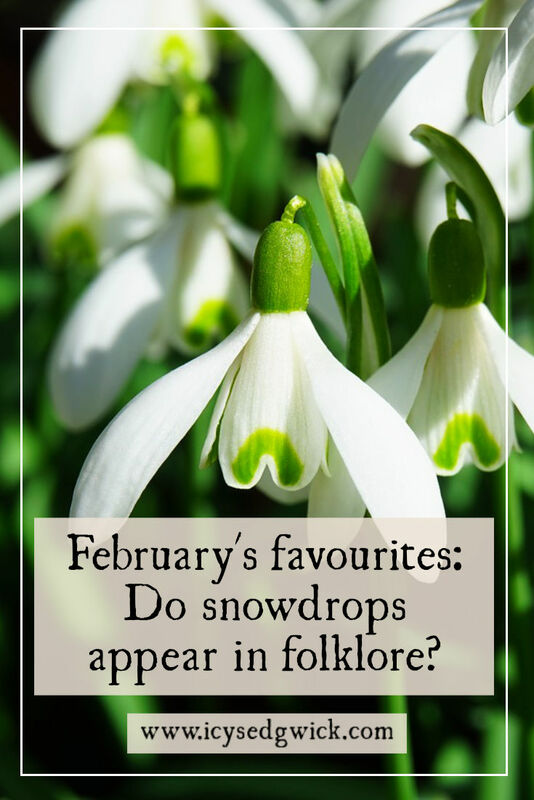 February favourites: Do snowdrops appear in folklore? Seeing snowdrops pop up is one of the first signs that spring is on the way. So named for their appearance soon after (or even during) the January snow, snowdrops are a perennial favourite among flower fans. Some fans take their love to such extremes that they’re known as galanthophiles…which is a bit weird but not the strangest thing to fetishise. Snowdrops are not native to the British Isles. They’re actually from southern Europe. Snowdrops only came to Britain in the late 16th century and it took them almost 200 years to become a wild plant. They’re also helpful little flowers. Their bulbs are a source of the alkaloid Galanthamine, which can help manage Alzheimer’s! It was the festival of Imbolc on 1 February (otherwise known as Candlemas, which is actually 2 February), which is the traditional time for snowdrops to bloom. What better time to delve into the folklore of the snowdrop? Click play below to listen or keep reading! 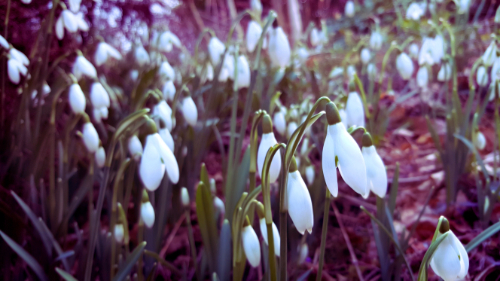 Their Latin name is ‘Galanthus’, or ‘milk flower’. According to VC Sinden, the first reference to flowers that sound like snowdrops in print in Britain appears in 1597. There, they’re called “Timely Flowering Bulbous Violets”. The ‘drop’ of its name doesn’t actually refer to a ‘drop’ of snow. It refers to its shape, that of an ‘eardrop’ – otherwise known as an earring. VC Sinden notes that some believe snowdrops hang their heads because they’re shy. In reality, their dusty pollen can only attract winter insects if it’s kept dry. They’re supposed to bloom at Candlemas so they’re known as ‘Candlemas bells’. They’re also called dewdrops, death’s flower, Eve’s tear, February fair-maids, and Mary’s tapers. According to one legend, the snowdrop dates back to the Garden of Eden. After God banished Adam and Eve, Eve grew tired of the endless winters. An angel came to her and created snowdrops from the snowflakes. She proved to Eve that winter doesn’t last forever. They came to symbolise hope as the first flowers to appear after the snows of winter. Kate Spicer relates a German legend, in which God asked the flowers of Earth to give colours to the snow. The flowers all refused but the snowdrop happily gave the snow its colour. In return, the snowdrop got to bloom before the other flowers. I’ll be honest, I prefer that legend. In a Romanian tale retold by VC Sinden, the sun took the form of a beautiful maiden when she appeared every spring to warm the earth. One year, Winter kidnapped her and kept her prisoner. Without the sun to warm the earth, the world languished in eternal winter. A hero found the prison and battled Winter. He set the sun free but his wounds overcame him. As he fell down, his blood melted the snow. Snowdrops grew from the droplets. Perhaps these legends help explain their link with hope. After all, snowdrops even appear in the Victorian language of flowers. Have a fancy for someone and you want to know if there’s hope for a future together? Then “send a posy of snowdrops” (Rich 1998: 46). If you’ve seen Stardust (or read the book by Neil Gaiman), you’ll know the little glass snowdrop brings Tristan luck. It also prevents the witches from harming him. For some, wearing a snowdrop would keep your thoughts pure. So how could these sweet little flowers be linked with death? For some, the link started with the monks who brought the plant to the British Isles. Apparently, planting it in monastery gardens might have given rise to the death/snowdrop association. Elsewhere, the Victorians planted snowdrops on graves. Vivian A. Rich notes that “[i]t was considered the epitome of good taste to edge the grave in blue scillars with snowdrops planted on the grave” (1998: 55). The profusion of snowdrops in graveyards helped explain the suggestion. With such a funereal association, it’s hardly surprising people would consider them bad luck to have indoors. According to Roy Vickery, “it has been suggested that the association of snowdrops with death results from the flower’s resemblance to a shroud” (1984, p. 34). Rich even points out that this resemblance to a shroud meant just touching a snowdrop was bad luck. For that reason, people didn’t take snowdrops into hospitals (1998: 144). Yet it’s not all bad. Margaret Baker notes that people carried snowdrops into their houses in Shropshire and Herefordshire to ‘cleanse’ them (2011, p. 143). She also notes that bringing the flowers inside while hens sat on their eggs meant the eggs wouldn’t hatch (much like daffodils). In Sussex, picking the flowers meant you’d get thin milk and colourless butter. So basically…leave them where they are. I think they’re lovely little flowers. It always cheers me up to see them waving gently in someone’s garden. Though I spotted them about two weeks ago, meaning they bloomed well before Imbolc/Candlemas. Speaking of which, remember Candlemas marks the official end of Christmas so you should take any decorations down if you didn’t do so on Twelfth Night! Let me know below if you like snowdrops, or if there’s any flower folklore you’d like to see! 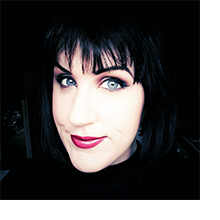 Remember to sign up for updates, too, so you’ll know when the next post goes live. I’ll send you my folklore podcast recommendations too. Baker, Margaret (2011), Discovering the Folklore of Plants, 3rd ed. Oxford: Shire Classics (aff link). Rich, Vivian A. (1998), Cursing the Basil: And Other Folklore of the Garden, Victoria, BC: Horsdal & Schubart (aff link). Vickery, Roy (1984), Unlucky Plants: A folklore survey, Middlesex: Hisarlik Press.